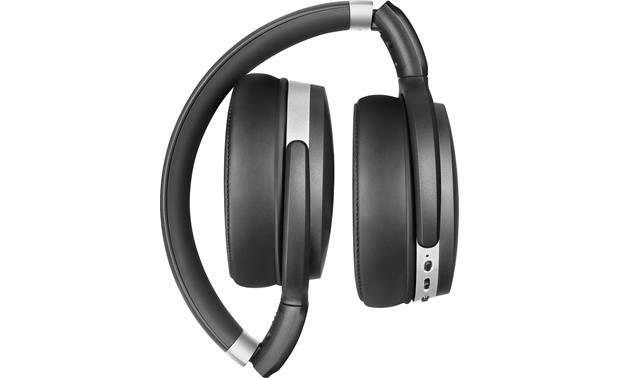 I think of noise cancellation and Bluetooth as the "peanut butter and chocolate" of headphones. 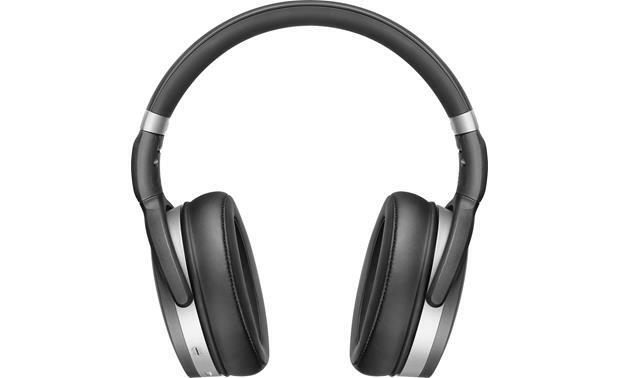 I think of noise cancellation and Bluetooth as the "peanut butter and chocolate" of headphones. 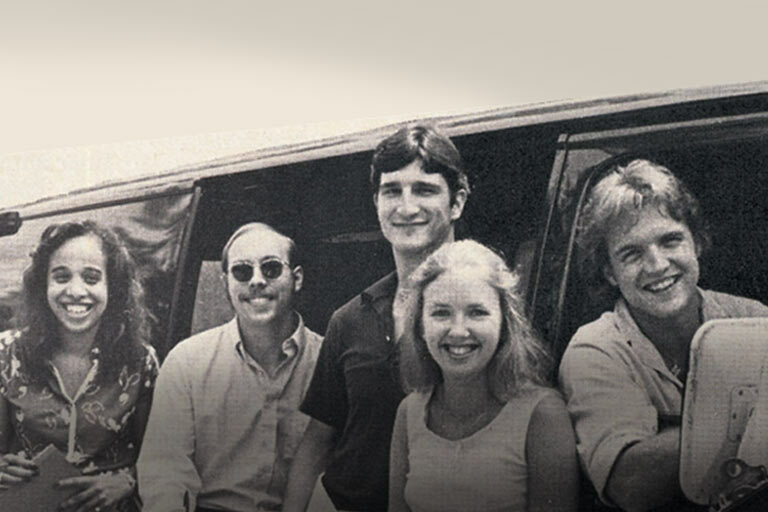 Each is great on their own, but they're even sweeter when you put them together. 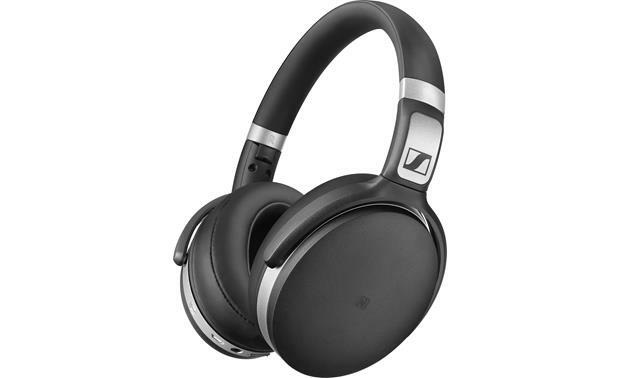 The Sennheiser HD 4.50 BTNC wireless headphones offer both at a reasonable price. Music plays wirelessly from your phone, while Sennheiser's NoiseGard™ technology cancels out extraneous sounds around you. 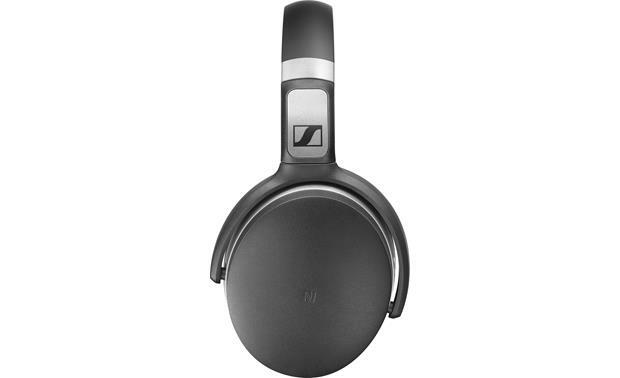 If you like deep bass from your headphones, the Sennheiser 4.50 BTNC headphones deliver. You get lots of powerful low end, for sure. The highs and mids are there too, but these headphones will especially satisfy those who prefer music with serious punch. Their fit is a little too snug for my taste. But they feel light to wear, and I know some people — my wife for example — prefer the tighter fit. These headphones certainly won't fall off as you move around. I thought the no-slip grip on the headband was a nice touch — it has a soft, pleasant feel. 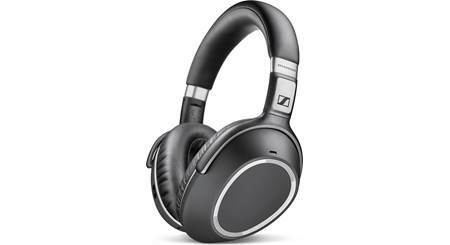 The Sennheiser HD 4.50 BTNC headphones sport a no-frills, grown-up look and fold into a travel-friendly bundle. These headphones have a solid battery life. You get up to 19 hours of wireless music playback on a full charge, and that's with noise cancellation. You should get through most flights just fine — without scrambling to find a charging outlet at the airport. Buttons and sliders on the right earcup control music playback, Bluetooth, and noise-canceling functions. They were a little tricky to master at first, but I got the hang of them pretty quick. One of the buttons even controls phone calls, so you can answer and talk as you move along. 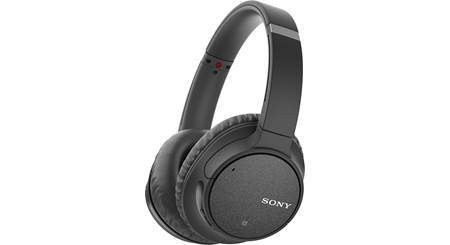 up to 25 hours of wireless use with noise cancellation "off"
Excellent build quality and sound. Does it have a replaceable battery ? 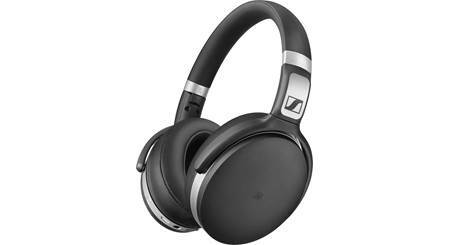 Earcup Width x Height 3.033" x 3.37"
Overview: The Sennheiser HD 4.50BTNC over-ear wireless headphones feature NoiseGard active noise cancellation as well as Bluetooth to give you the freedom to listen to your favorite music anywhere you want without the distraction of ambient noise. The HD 4.50BTNC headphones come with a USB charging cable, a straight audio cable, and a soft storage pouch. 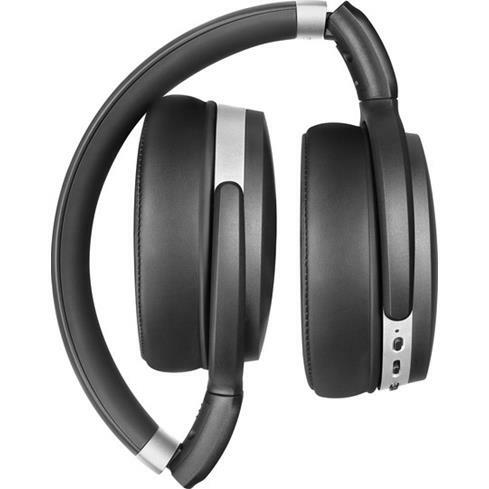 NoiseGard: The HD 4.50BTNC Wireless headphones feature NoiseGard Active Noise Cancellation to shut out unwanted ambient noise and let in only your music. 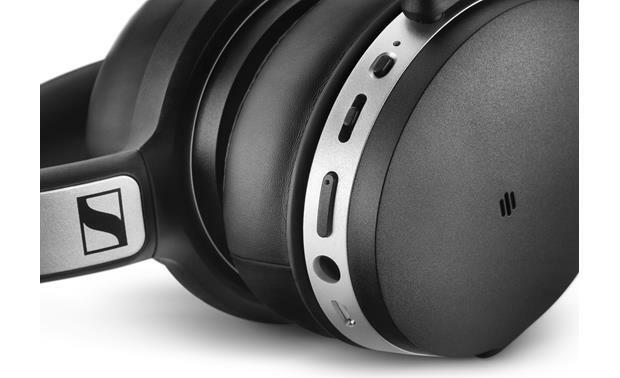 With a closed-back design, the headphones block much of the outside noise from your environment. NoiseGard uses two small microphones on the outside of the ear cup to pick up the remaining noise and generate an opposite noise-canceling sound wave. All you hear is your music with all of its detail. Bluetooth: The HD 4.50BTNC headphones are compliant with the Bluetooth 4.0 standard, and have the following profiles: HFP (Hands-Free Profile), HSP (Headset Profile), AVRCP (Audio Video Remote Control Profile), and A2DP (Advanced Audio Distribution Profile). In addition, aptX audio coding provides high quality audio that is comparable to a wired connection. You can pair the headphones with most Apple and Android Bluetooth devices, including those with NFC (Near Field Communication). Battery: The Bluetooth function is powered by a 3.7-volt 600mAh Lithium-Polymer rechargeable battery. The battery charges in approximately 2 hours using the supplied Micro USB charging cable. A full charge supplies enough power for 25 hours of wireless listening, or 19 hours with Bluetooth and NoiseGard. The remaining battery level can be monitored through the flashing LED and voice prompts. The battery life may also be displayed on the screen of your smartphone or device. On-board Controls: The HD 4.50BTNCs have built-in controls on the right ear cup for power, volume, and music/phone call control. Music controls include play/pause, skip to next track, skip to previous track, fast forward, and fast reverse. Phone controls include accept/end a call, reject call, call on hold, and toggle between 2 calls. Established calls can be transferred from the headphones to the smartphone by turning off the Bluetooth connection. Using the Voice Control function of your phone, you can make a call by speaking a command. Audio Cable: The included 58" audio cable lets you listen to your music when the battery is exhausted, or when you cannot, or choose not to, use Bluetooth. The cable terminates into a slender right-angled 3.5mm plug that is compatible with most smartphone cases. The cable does not have an in-line remote, and the on-board controls do not work when the power is off. Dimensions (Ear Cup): Width 3.033", Height 3.7", Depth 1.85"
I am not aware of a replaceable battery. Haven't seen any opening for a battery. In 16 months, battery has never been an issue. I would suggest additional online searches or contact the manufacturer. is the warranty international ? For more specifics on the warranty coverage you'll want to contact Sennheiser directly--their support number is 860-434-9190; and you can check their online support site here: https://en-us.sennheiser.com/service-support Thanks! 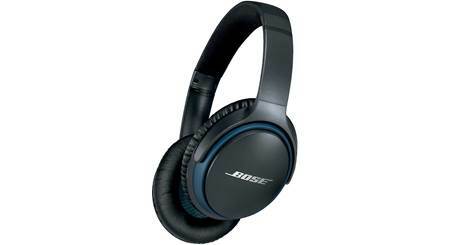 Searches related to the Sennheiser HD 4.50 BTNC Over-ear wireless noise-canceling headphones.